Your lungs are full of fresh air as you glide up and down the undulating dunes of a private conservation reserve. Beside you is a herd of Arabian Orxy as you approach a natural oasis where your picnic under the shade of an indigenous Ghaf tree awaits. Sounds like a dream vacation? 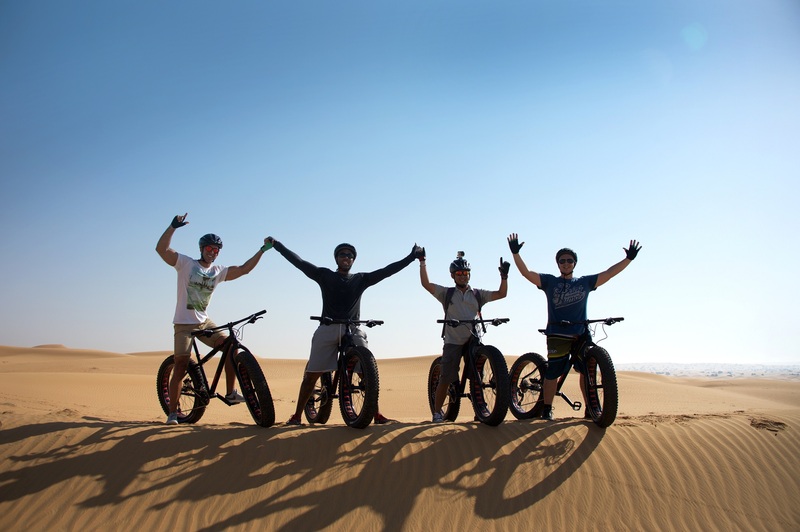 This is the reality of a Desert Fat Bike Tour in Dubai but here is a list of 10 Reasons why you should embark on a Desert Fat Bike Ride. 1) Do these tyres make my bike look fat? 2) Less impact on the environment. 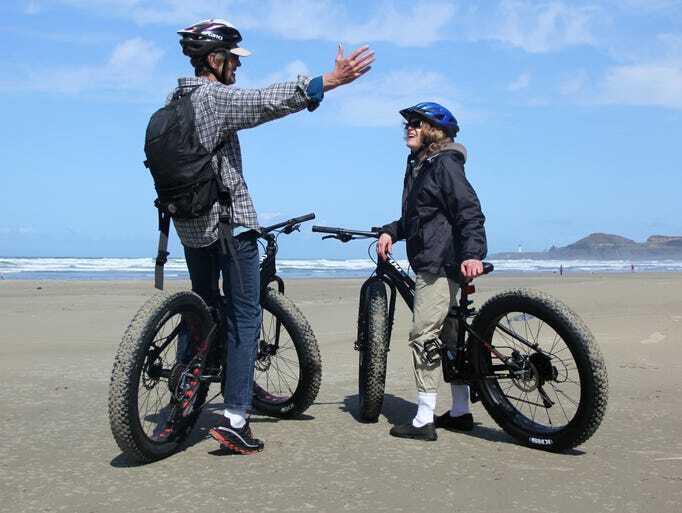 With only 3.5 psi of pressure, Fat-Bikes leave virtually no trace in the sand. 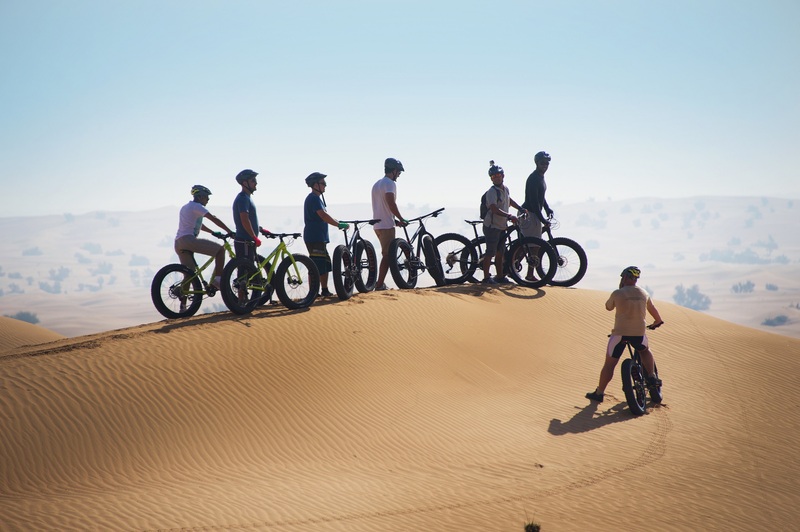 This combined with the complete absence of the use of fossil fuels, no air-pollution and proceeds for each guests donated towards desert conservation, Fat-Biking represents the most eco-friendly way to visit the Dubai desert. 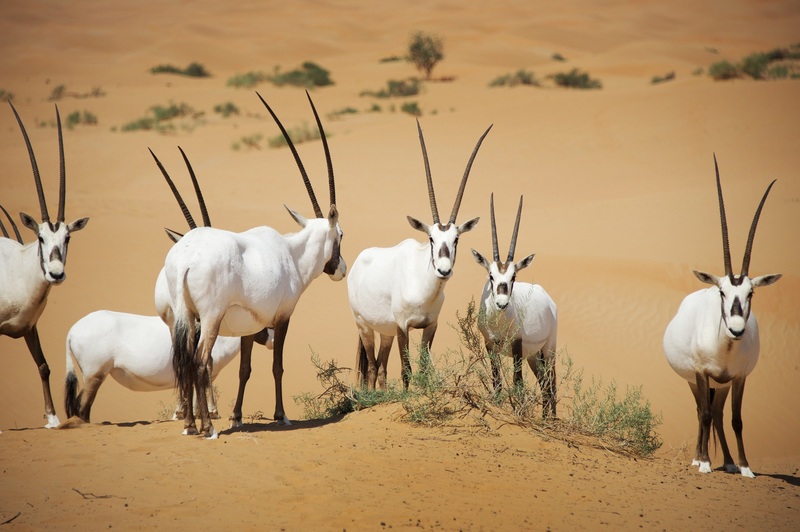 3) Closer connection to the desert and wildlife. Any cyclist knows that there is a relaxing and meditative effect of riding a bike. You notice every ripple in the sand, you can hear the crunching of sand under the hooves of a passing herd of Arabian Orxy, and you can smell the fresh fragrance of trees as you pass them. By removing the sound of a vehicles engine, the distraction of a car stereo, the ringing of your phone, you really feel connected to nature. 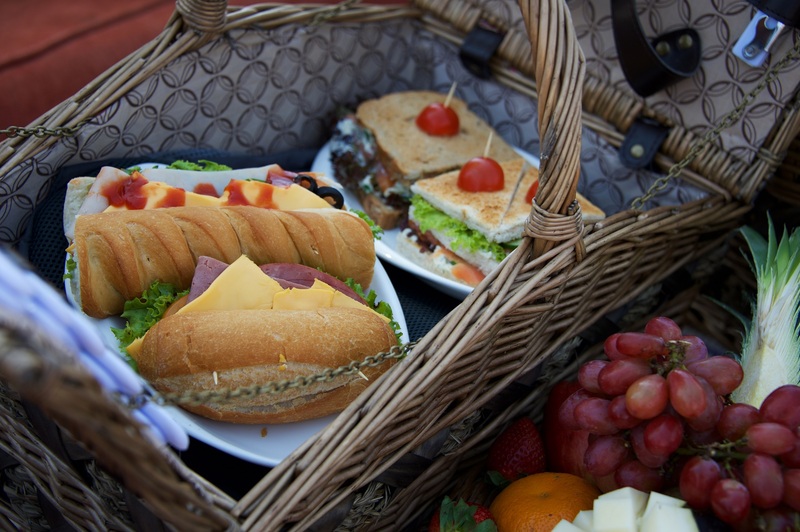 4) Enjoy a gourmet picnic in a Conservation Reserve. Imagine the sensation of arriving into a remote part of the desert, without vehicles, powerlines, planes or any other distraction and sitting down on soft silk carpets with soft fluffy cushions, to a picnic of hand-cut smoked salmon and caviar? We can think of only one place in the world that this can become a reality. 5) Become a very cool trailblazer. Around the world, cycling is experiencing a boom. 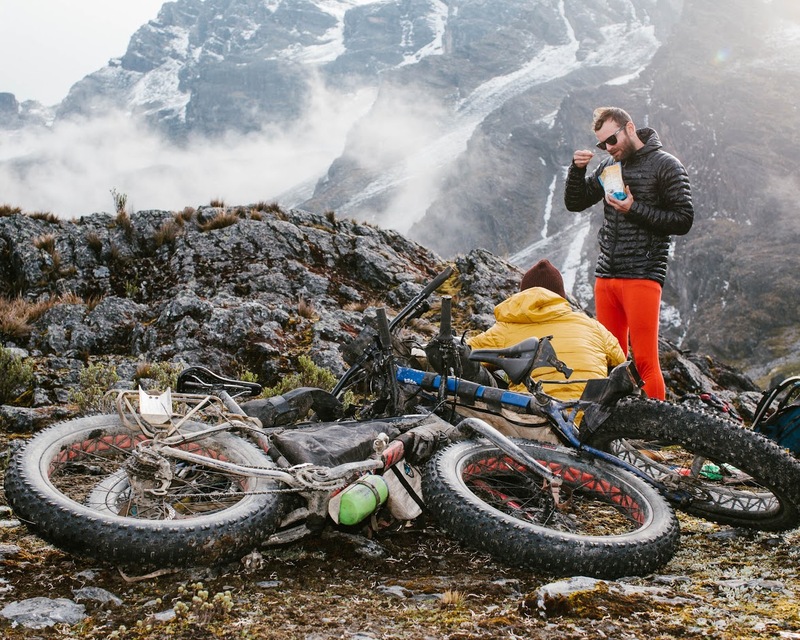 No longer do people just associate cycling with embarrassingly tight lycra shorts, today it is considered one of the coolest ways to travel the world. 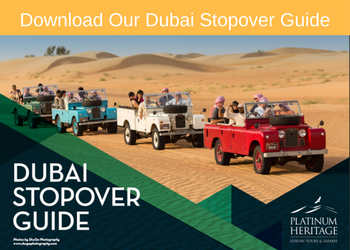 Whether it be traversing inner Mongolia, the stunning Cape Peninsula, the barren trails of Patagonia, or the picturesque dunes of the Arabia desert; you are sure to pull out the most impressive travel stories around the watercooler. 6) The safest desert based adventure sport. 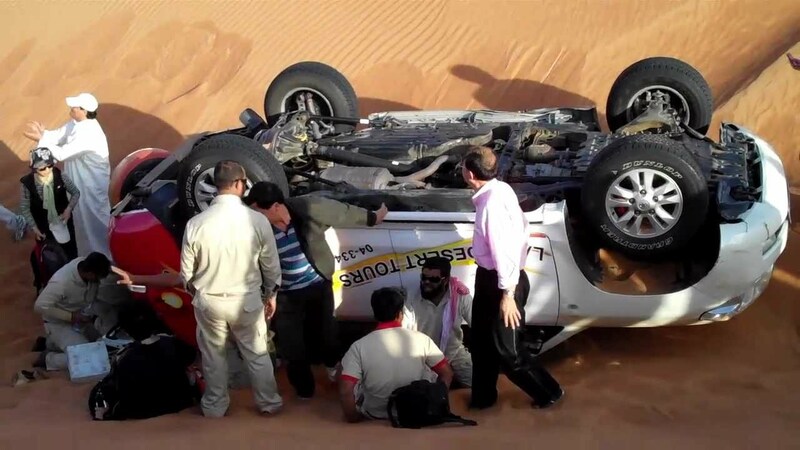 Many of the most popular desert activities are also the most dangerous. Crazy dune bashing, quad-bikes and dune buggies are not only devastating to the local eco-system and the fragile animals living just below the dunes surface, they are the easiest way to end a vacation with a visit to the ER. 7) A fun activity for the whole family. It can be difficult to find activities while travelling that the whole family can enjoy together. With a collection of kids bikes, Platinum Heritage can supply bikes for everyone (over 130cm). Why not stay fit, exercise and travel together? 8) A sense of achievement. 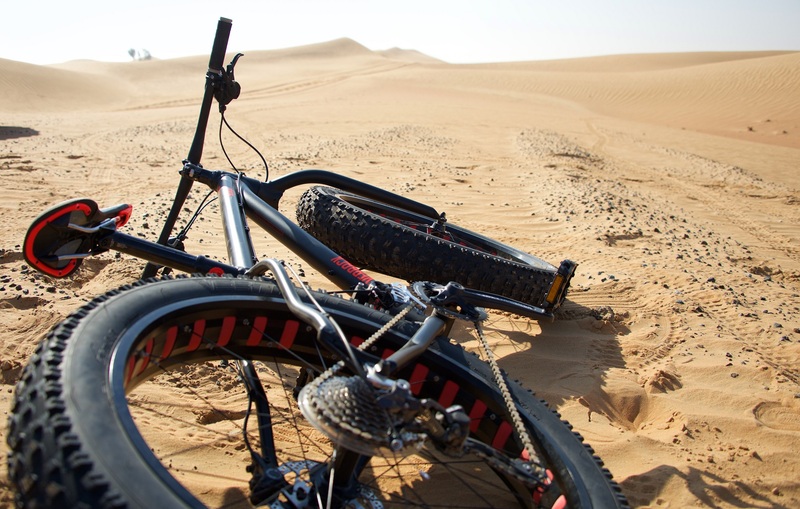 Riding a Fat-bike in the desert can be hard work. It is really only suggested for people who are in good shape. So instead of sitting back in the passenger seat of a vehicle, a chair in a restaurant, the lounge at the airport or the soft mattress of your Hotel room, get up and achieve something difficult. The sense of achievement of traversing the desert on your own will quickly become a vacation highlight. Nothing good in life comes easy. 9) Try before you buy. 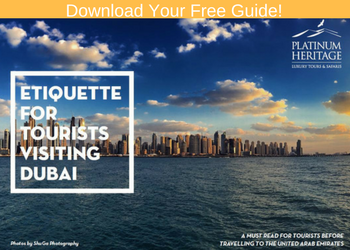 Rather than visiting a bike shop in Dubai and renting a bike, without really knowing where to go, try it with Platinum Heritage first. You can get some seat time, get a feel for the bike and see if this is the bike for you. 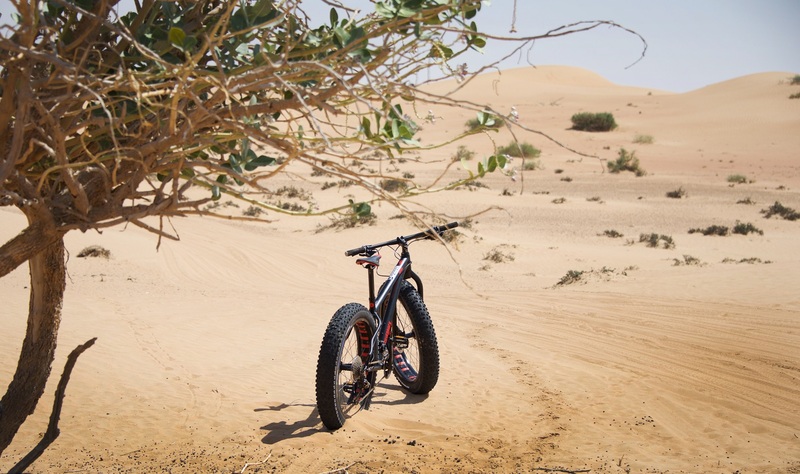 Good Fat-Bikes like the Silverbacks we use are valued at around AED10,000 each. 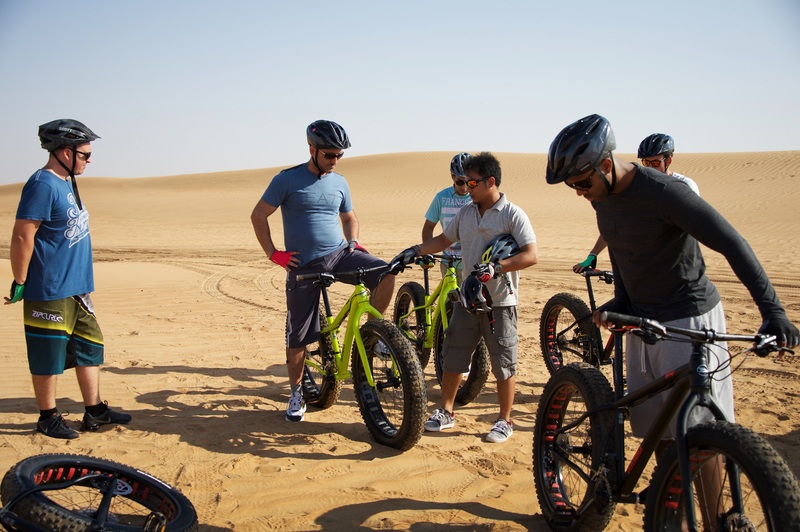 Even for local UAE residents looking to do something different on the weekend, why not try before you buy? 10) New team building activity. By now you must be tired of bowling, paint-ball and mini-golf. Get your team together and we can put together a range of challenges to suit all corporate groups looking for some team building activities. There is no more unique activity, stunning venue or healthy challenge for your company event than with a Desert Fat-Bike challenge.